Autumn is here so it is time to say arrivederci until next Spring! Thank you all for the love and support! 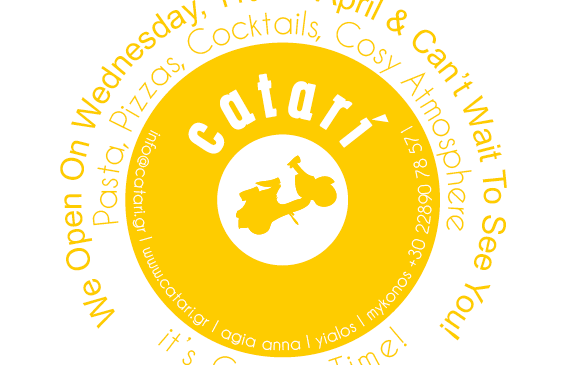 Catari is ready to Serve its delicious pizzas, its flavoursome pasta dishes & mouth watering cocktails on Tuesday, the 15th of April. 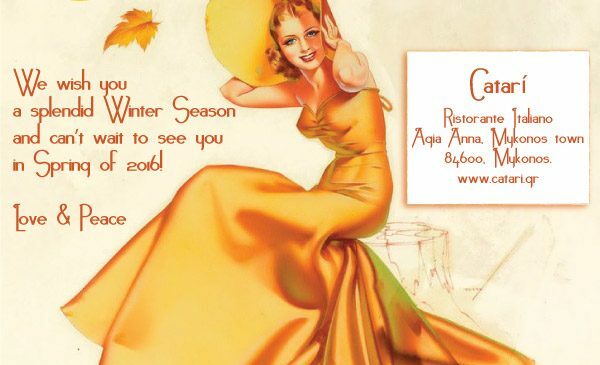 The Catari Team wishes you a Lovely Winter Season and hope to see you all next summer for more fun! Catarí opens its doors for the summer season on Wednesday, the 24th of April. Great dishes, great drinks, great atmosphere!!! We Open On Wednesday, 11th of April & Can’t Wait To See You!